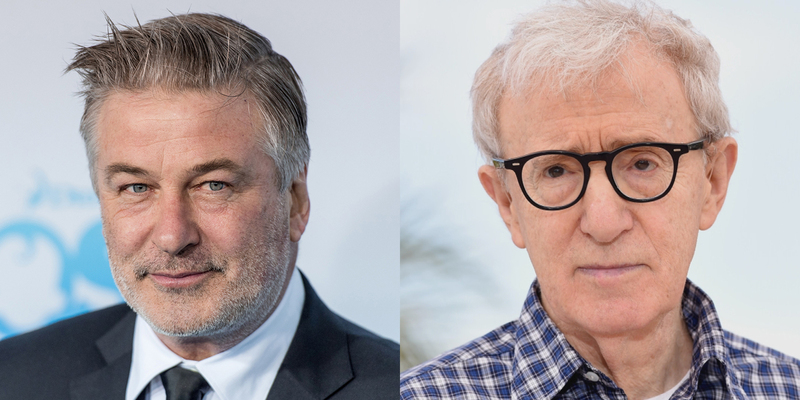 Alec Baldwin has responded to the growing celebrity backlash against Woody Allen, stating that the filmmaker deserves better. Despite the fact that other actors who have worked with Allen have recently spoken out against the filmmaker, Baldwin insists that "the renunciation of him and his work [is] unfair and sad." Allen's innocence has been the subject of debate over the years regarding the alleged molestation of his daughter Dylan Farrow in 1992, and in the midst of the Time's Up and #MeToo campaigns, scrutiny towards celebrities accused of sexual misconduct has been especially strong. In two separate tweets, Baldwin expounded on Allen's alleged history with sexual misconduct, stating that his rejection has no merits. In his first tweet, Baldwin writes: "Woody Allen was investigated forensically by two states (NY and CT) and no charges were filed. The renunciation of him and his work, no doubt, has some purpose. But it’s unfair and sad to me. I worked w WA 3 times and it was one of the privileges of my career." He then followed that tweet by asking if it's "possible to support survivors of pedophilia and sexual assault/abuse" while also believing that Allen is innocent. In the wake of celebrities speaking out against sexual misconduct, other actors with whom Allen has worked have had divisive opinions on the filmmaker. For example, Lady Bird writer/director Greta Gerwig said, “If I had known then what I know now, I would not have acted in the film. I have not worked for him again, and I will not work for him again," while Kate Winslet said in an interview with The Telegraph, "He's an 81-year-old man who went through a two-year court case. As far as I know, he wasn't convicted of anything". On the other hand, Timothée Chalamet and Rebecca Hall, who co-star in Allen's upcoming film A Rainy Day in New York, have both donated their salaries from the film to various organizations, including Time's Up, LGBT Center in New York, and RAINN, an anti-sexual assault foundation. Chalamet announced his plans to donate his salary via his personal Instagram account, saying, "I want to be worthy of standing shoulder to shoulder with the brave artists who are fighting for all people to be treated with the respect and dignity they deserve." Other actors to denounce Allen include Mira Sorvino, David Krumholtz, Griffith Newman, and Ellen Page, who referred to her work with Allen on the film To Rome with Love "the biggest regret" of her career.